The Superman Stories of Elliot S! Maggin! 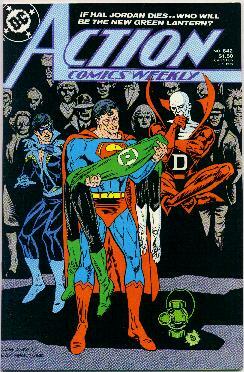 There are many skilled Superman writers, but my all-time favorite is Elliot S! Maggin. 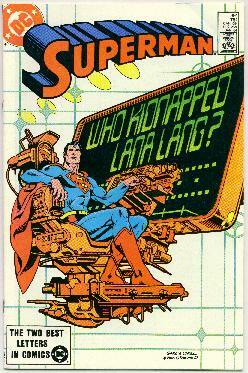 This bibliography of his Superman stories is a work in progress and is not complete. If you know of an Elliot S! 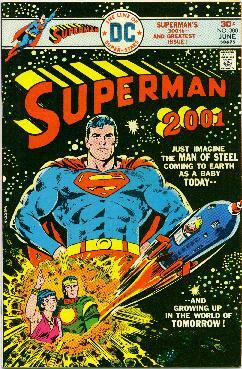 Maggin Superman piece that is not listed here, notice any errors, or can contribute any missing information, please contact us. Thanks! Novella Superman Through the Ages! 1999 The epic story of Krypto the Superdog! 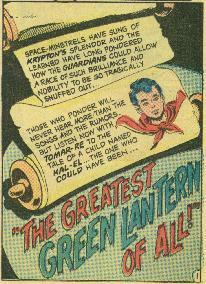 257 Oct 1972 BF "The Greatest Green Lantern of All!" Story "From an idea by Neal Adams"
266 Aug 1973	 MF "The Nightmare Maker!" ? 287 May 1975 MF "Who was that dog I saw you with last night?" Writer By popular demand! 390 Dec 1983	 SF, P1 "Lost On a Comet!" Words Vartox! 391 Jan 1984	 SF, P2 "Who Stole the Newswoman of the Year!" 400	 Oct 1984	 S! 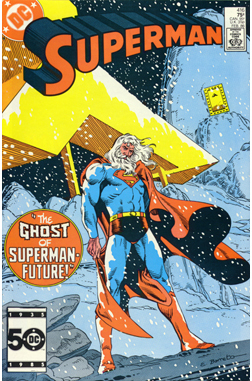 "The Living Legends of Superman"
Annual 10 1984 SF "The Day the Cheering Stopped!" 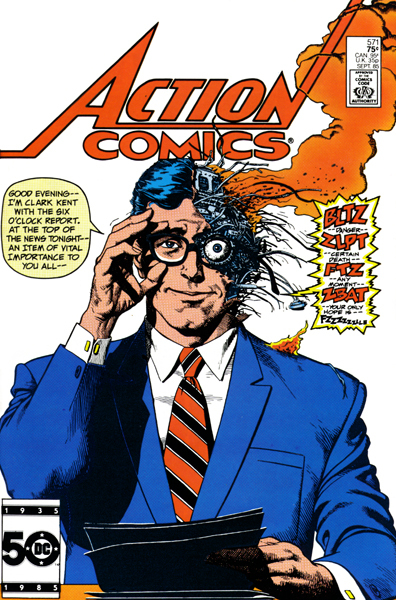 Elliot Maggin has written various back-up features for Action Comics, including Green Arrow, Black Canary and Atom stories that are in issues not mentioned below. 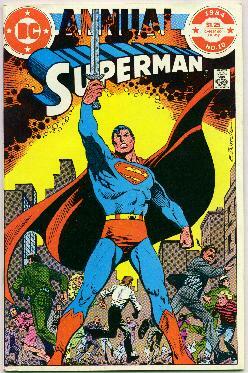 Since these back-up features are not Superman stories, they are not necessarily listed here. 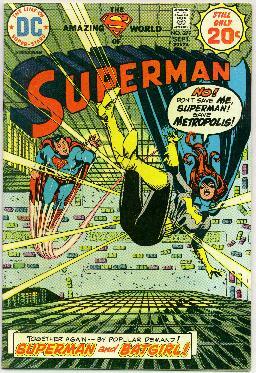 Similarly, some of these issues may not actually have any Superman stories in them, as I have not yet been able to check each one. 455 Jan 1976 MF "Junkman - the Recycled Superstar!" 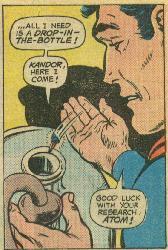 Story Guest starring Green Arrow and The Atom. 642	 Mar 1989	 SF, PB "Where There is a Will...!" 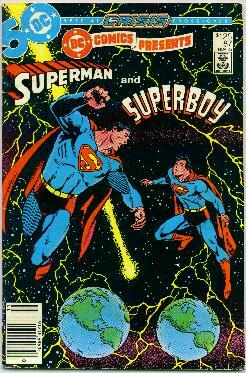 87 Nov 1985 CX, MF, P2 "Year of the Comet"
87 Nov 1985 CX, BF, P1 "The Origin of Superboy-Prime!" In addition to his work on Superman, Elliot S! Maggin has written for TV, has co-written a Generation-X novel, has edited various comic books (including Challengers of the Unknown), and has written for many non-Superman comic books including: Archie's Super-Teens, Atari Force, Batman, Detective Comics, Ellison's Dark Corridors, Elseworlds, Green Arrow, Green Lantern/Green Arrow, The Incredible Hulk, Iron Man, Joker, Justice League of America, Marvel Classics, Peter Parker, Shazam, Star Raiders, Strange Sports Stories, Total Recall, Wonder Woman, etc. 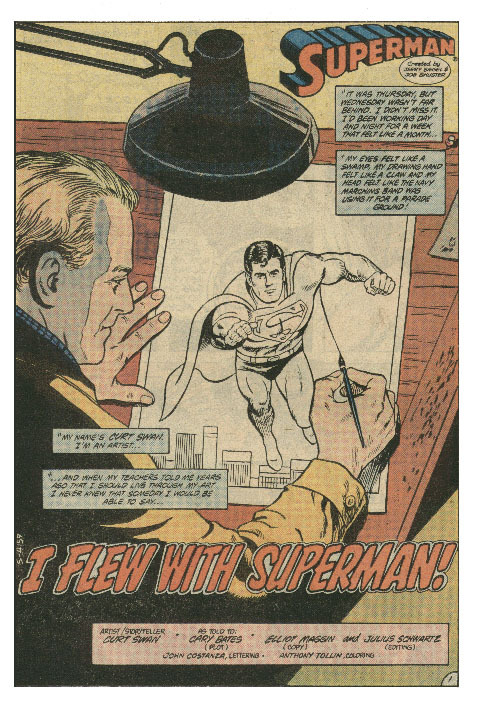 Since tracking down all of his work would take up far too much of my time and since I am mainly interested in his Superman stories, this bibliography attempts to list only his Superman-related writings, not everything that he has ever done. Contributors include: Michael Bond, Derek T. Doyle, Jim Ford, Michael R. Grabois, Bob Heer, Howard J. Margolin, Lou Mougin, and Nathaniel Morgan. Last updated 1 September 1999 - Please contact us to contribute any missing information. Thanks! This page is a fannish production is not affilliated with Elliot Maggin, DC Comics, or Warner Brothers. If you like the Super-Stories of Elliot S! Maggin and/or Jeph Loeb and are looking for similar authors, you may want to check out the fan-fiction of Samuel Hawkins. 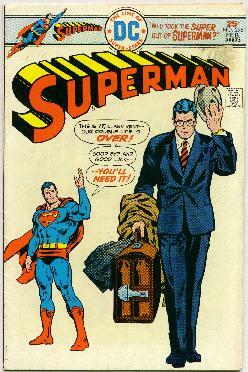 Superman © DC Comics, Joanne Siegel, and Laura Siegel Larson, TM DC Comics.